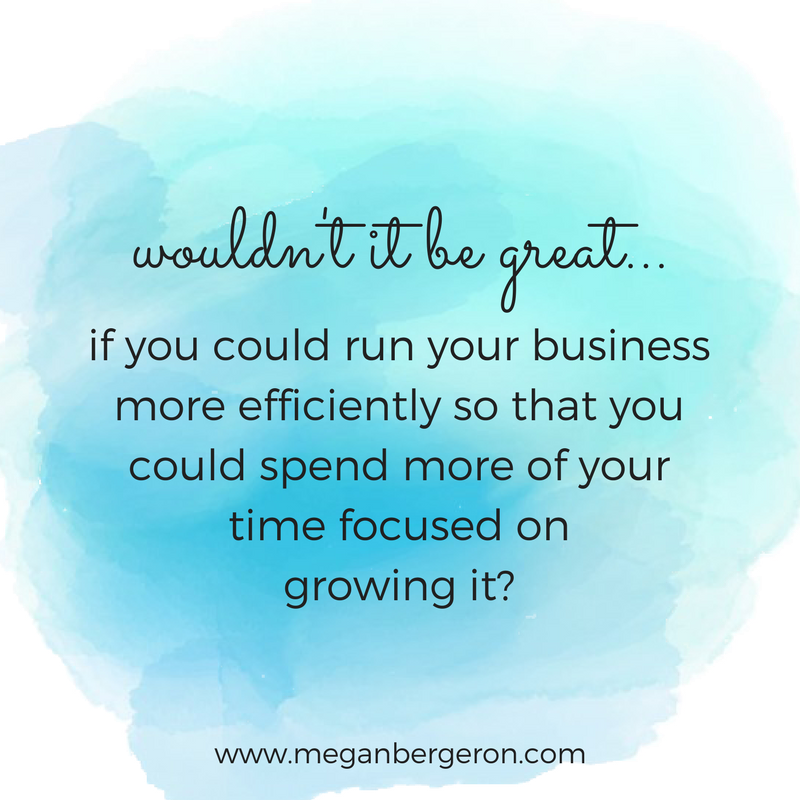 If this sounds like something you can relate to, you’re not alone because so many business owners struggle with this. It’s something that gets overlooked most of the time, but if you can get good at creating systems early on, before you really feel like you have a need for them, it will be a huge help when you want to grow your business. Or - if you’re already well into it and you haven’t really mastered creating systems yet, that’s okay because it’s never too late to start and there’s always room for improvement! The first thing that you need to know is that It doesn’t have to be complicated! 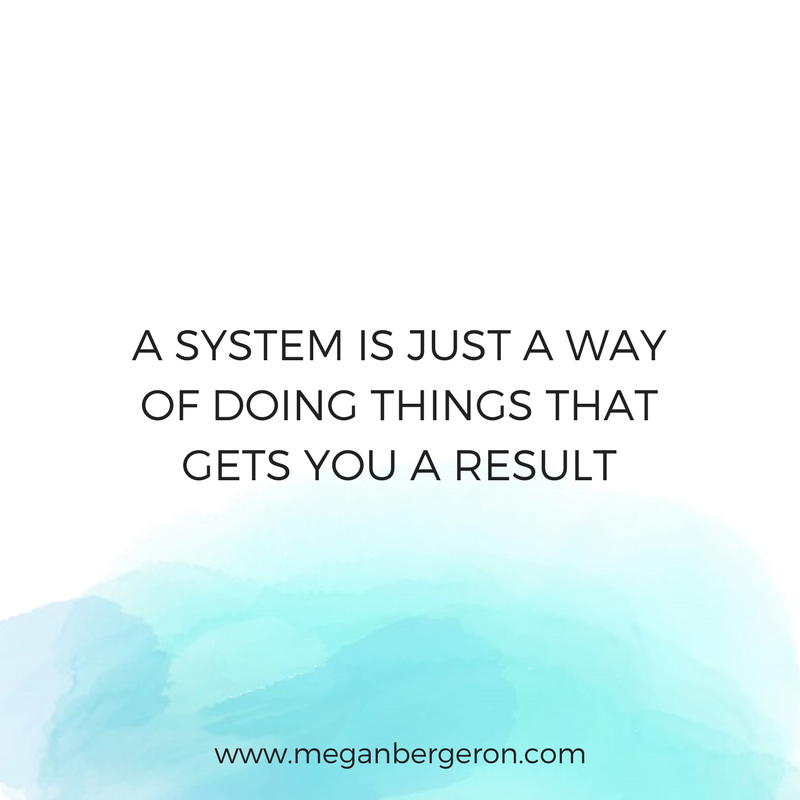 A system is just a way of doing things that gets you a result. You probably already have systems in your business, even if you don’t realize it! When I first started doing consulting, I kept track of potential jobs and ones that were in progress with post-it notes stuck to the wall in my little office. The potentials were grouped together on one side, and were on yellow post-its, and the ones in progress were on the other side, on blue post-its. When a potential changed to a confirmed job and I started working on it, I switched it to a blue post-it note and moved it from one side to the other side. There you go, that was a system! I know it sounds kind of ridiculous and it’s a super simple example, but essentially that’s it! It’s just a way of doing things that gets you a result. With my little post-it system, I always knew how many jobs I had in the pipe, and which ones I was working on. I could see if I needed more leads, or if I was taking on too much work at once. It also helped me to budget because I knew what paying jobs I had in progress at a glance. Now I’m not saying you should go out and buy a bunch of post-it notes, the point is that systems don’t need to be complicated, especially in the beginning. Here are the steps that you can take to create systems in your business. This is my system for creating systems! 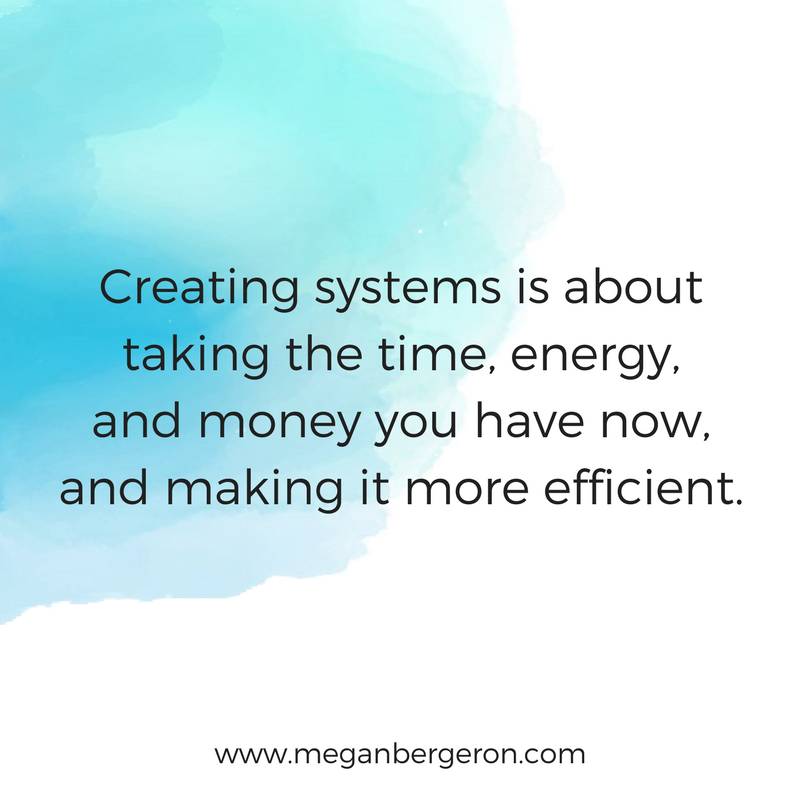 Creating systems is about taking the time, energy, and money you have now, and making it more efficient. A great place to start is to look at every task you do. Remember the 80-20 rule and how it applies to the tasks you’re doing. 80% of your results are going to come from 20% of your efforts, which means that it’s likely that a lot of the tasks you’re doing on a daily basis may not be truly making a difference in your business. So, track everything you’re doing, and how much time you spend on it. Then, rank all those tasks from the highest value to the lowest value in terms of the difference they’re making in your business. 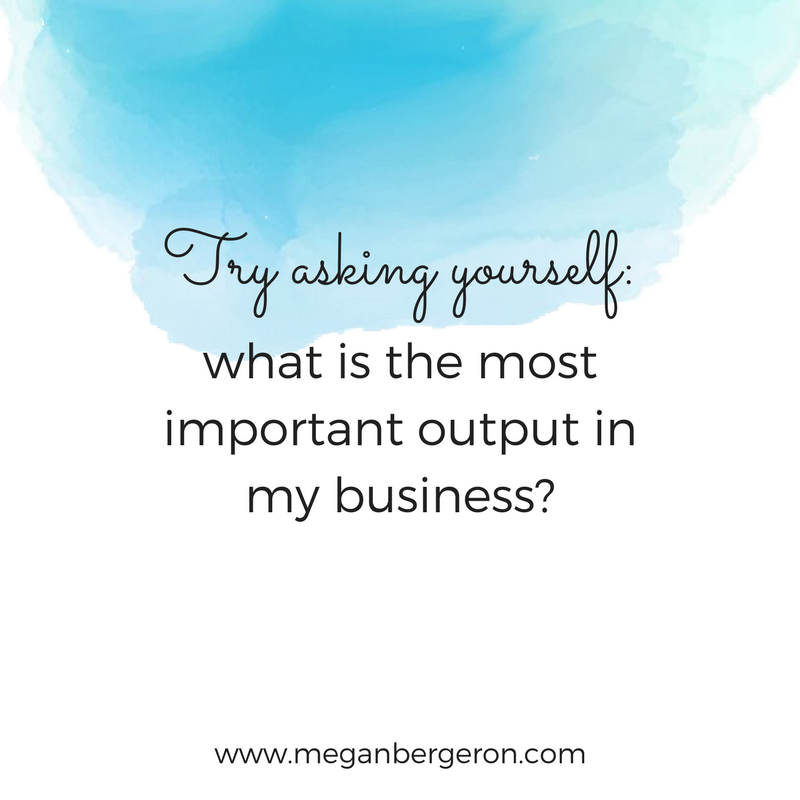 If you’re not sure which tasks are the highest value, try asking yourself this question: what is the most important output in my business? Is this task really helping to generate that output? For example, if my most important output right now is creating more helpful training like this, spending half the day sorting expense receipts isn’t helping me do that. So, doing this video would be a high value task for me, and sorting the receipts would be low value. Now don’t get me wrong, the lower value tasks may still need to happen, but they can usually be done much more efficiently, or even by someone other than yourself. Once you’ve noted the tasks you’re doing on a typical day and how much time you’re spending on each of them, go through that list and look at the lower value tasks, the ones that aren’t really making a difference in your business, or helping to grow it. See if there are any that you can eliminate from the list – things you don’t need to be doing at all. Go through your list and for each task, write down what the outcome of that task is. It’s important to start with the end in mind and know what the purpose of each task is. Then, give each task a name, and starting with the outcome in mind, write down the steps that you take to get to that outcome. Remember, it doesn’t have to be complicated. Just document what you do to get the result you’re looking for. Next, look at the systems you’ve created and see if there are ways that you could make them more efficient. Once you start writing down the steps to all your tasks and checking what you spend your time on, you’ll probably see that you’re doing some of the same things over and over, or doing things manually that could easily be automated. Ask yourself who it could be delegated to, which steps aren’t necessary, and which can be automated or systematized some more. 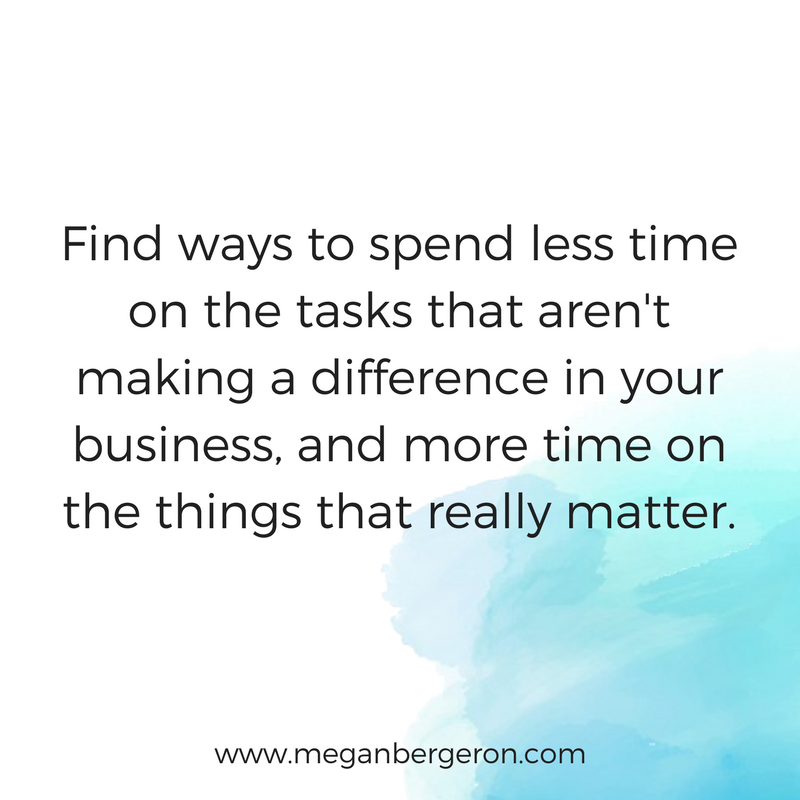 The idea here is to find ways to spend less time on the tasks that aren’t making a difference in your business, and more time on the things that really matter. The bottom line is: know why you’re doing this, stay committed, and make it a habit! The idea of creating systems might sound tedious and overwhelming, or it might sound fun – it sounds like fun to me! Either way, here’s why it’s important to create systems in every single little part of your business. 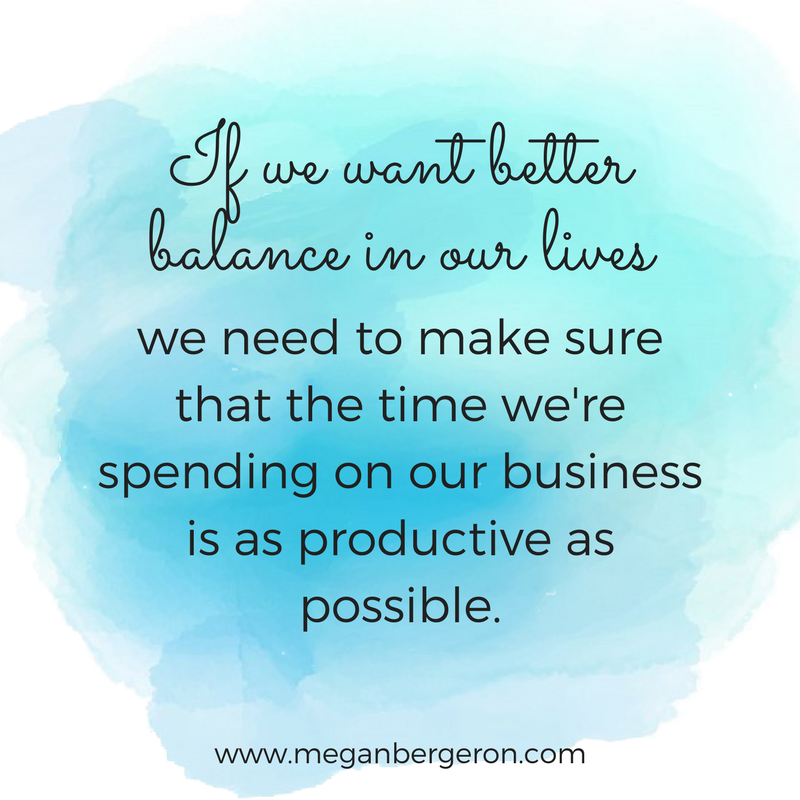 If we want better balance in our lives, we need to make sure that the time we’re spending on our business is as productive as possible. If you’re doing everything yourself, you’re probably exhausted and spending a lot of time on activities that aren’t making you money. You may also find that things are starting to fall through the cracks. If you don’t map out and document how you do things, it’s much harder to get help because transferring all the knowledge you have in your head about how to operate your business to someone else is very daunting! Creating effective systems will help your business run more smoothly, so that you can have peace of mind, more freedom, more profits, and grow your business faster! I hope this was helpful! I’d also love to hear from you! Let me know what kind of differences it’s made in your business to create systems. If you liked this post, be sure to share it, and subscribe to get new training delivered straight to your inbox!